Dr. Thomas Nzioki Kibua is Director of Academic Programmes at Strathmore University Institute of Public Policy and Governance, Economic Advisor to the Governor of Makueni County and Partner and Senior Economist with African Development and Economic Consultants Ltd (ADEC), a Kenyan firm he co-founded in 1979 and which offers advisory services in economics, management, finance and development. Previously, he served as Director of Health Policy and Systems Research at the African Medical and Research Foundation (April 2008-March 2011); the Executive Director of the Institute of Policy Analysis and Research (IPAR) a non-governmental think –tank specialising in policy analysis and research (2003-2008); and Chairman of Egerton University Council (2009-2012). He previously taught for many years at the Department of Economics, University of Nairobi. He was Deputy Governor of the Central Bank of Kenya for the statutory period of eight years (1993-2001), served as Advisor to the President of East and Southern Africa Trade and Development Bank (2001), worked on long Term Technical Assistance Programme as Economic Advisor to the Kenyan Ministry of Health (health care financing) (1991-1993) and sat on several Boards of State Corporations (Capital Markets Authority, Export Processing Zones Authority, Export Promotion Council and Deposit Protection Fund) and private companies. 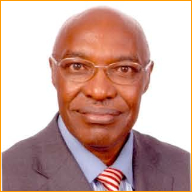 Dr. Kibua graduated from the University of Nairobi with a Bachelor’s degree and a Master’s degree in Economics in April 1974 and June 1976, respectively; a Master’s degree in Economics from Yale University, USA, in1979; and a Doctor of Philosophy degree from the University of Nairobi in 1983. He has extensive hands-on experience in: (a) the management of macro-economic affairs (especially public finance management), (b) university teaching, (c) research, research management and capacity building, (d) knowledge management and (e) and consultancy on development and economic governance and management issues. His areas of specialisation include development economics, economic governance and management (macroeconomic management and public finance management) and quantitative methods. He has written extensively on development and economic policy issues.